Ronald and the gang know how to throw a party. They can set up balloons. They can play games. And of course they can provide yummy food for the kids. That’s why McDonalds offers birthday party package. The McDo party display have party backdrop and ambience banner that features Ronald McDonalds and the gang. There is also party balloons and party tray mats. McDo Party will never be fun if there is no game. 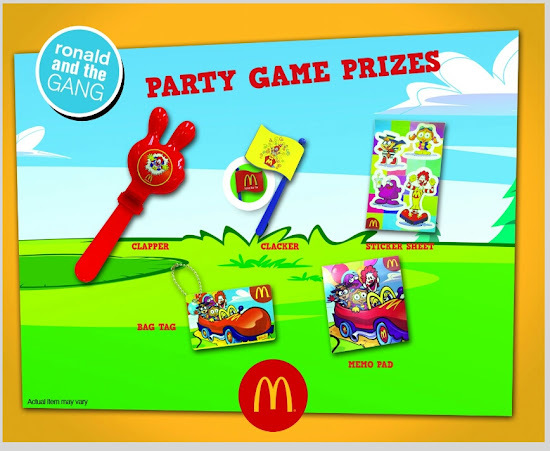 So, McDonalds will give these game prizes to those who participates in the fun: clapper, clacker, sticker sheet, bag tag, and memo pad. Birthday party will not be complete if there is no birthday cake. 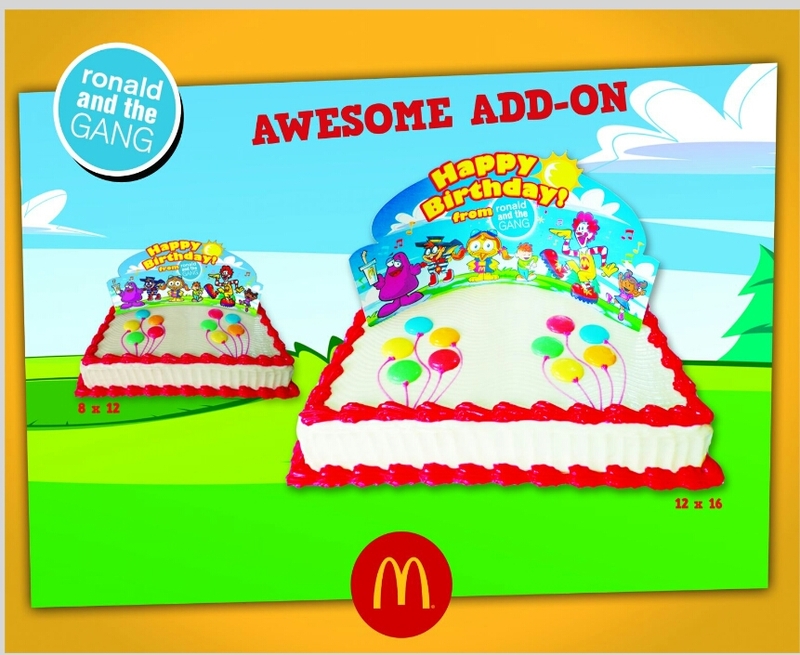 McDonalds offers birthday cakes in two sizes: 12 by 16 and 8 by 12. If you do not like their cake then I guess you can ask them if you can bring your own cake. Food Mix 2: 1-piece Chicken McDo, McSpaghetti, and regular drink that costs 180 Pesos per person. Food Mix 3: 1-piece Chicken McDo, rice, fries, regular drink, and a Happy Meal Toy that costs 180 Pesos per person. Food Mix 4: McSpaghetti, Burger McDo, fries, regular drink, and a Happy Meal Toy for 195 Pesos per person. For a minimum of 10 guests, you will get free 10 balloons, 10 party hats, 10 loot bags, 10 activity mats. You will also get a free party host and candle blowing. This means that you have to pay for extra balloons, party hats, loot bags, activity mats. For 2,000 pesos, you can also get 1 gift for the birthday celebrant, 30 pieces of giveaways, and 30 game prizes. There will also be an appearance of Grimace, Hamburglar, or Birdie. 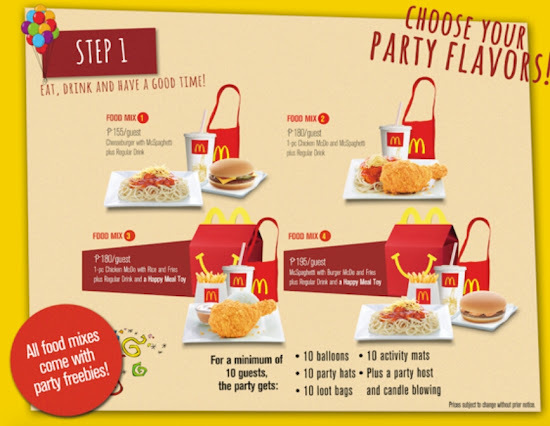 I believe that McDo Party package price is not that far from the Jollibee party package price for 2018. 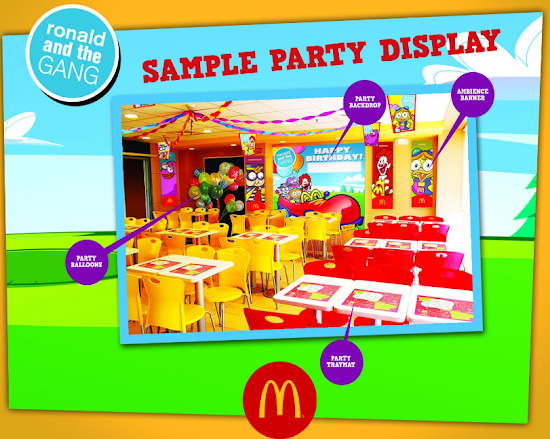 McDonalds is another birthday party venue that you can try.